Missouri Railroads And Railfanning In "The Show Me State"
Much like Illinois, Missouri is stuffed full of action and excitement with six of the seven North American Class I systems operating within the state, all of which serve either St. Louis and/or Kansas City. 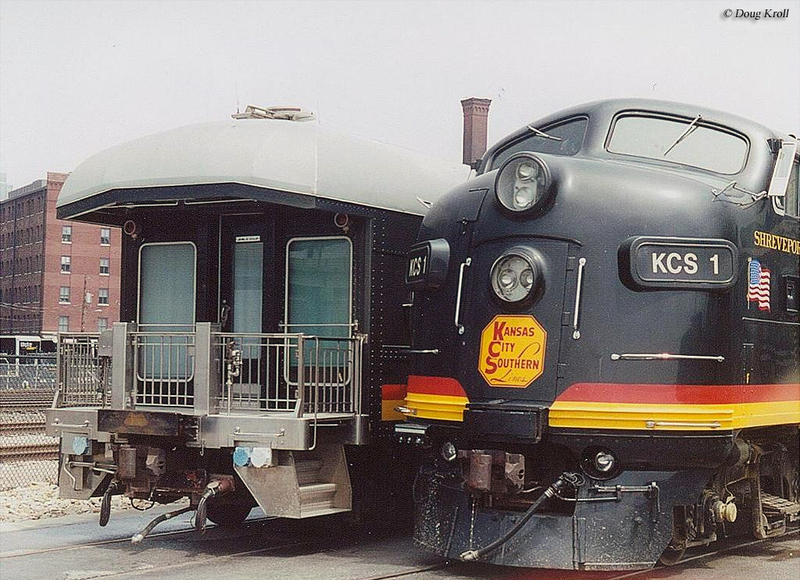 The Show Me State also has a rich history with the prominent, historic stations that serve Kansas City and St. Louis hosting between twelve to nineteen Class I systems during the “Golden Age” of rail travel, more than any other. Missouri can also claim a history of being home to more headquarters of Class I railroads than any other state with Kansas City Southern still calling its namesake city home. And, the Show Me State remains right at or near the top of rail tonnage moved today. 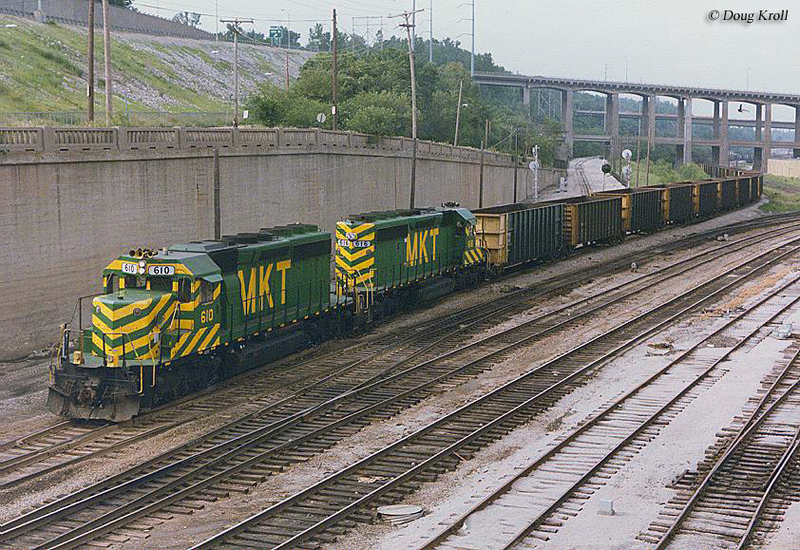 Prior to today's mega-merger Class Is, Missouri was also once home to numerous classic railroads as eastern lines looked to interchange freight with western carriers at the important gateway of St. Louis. 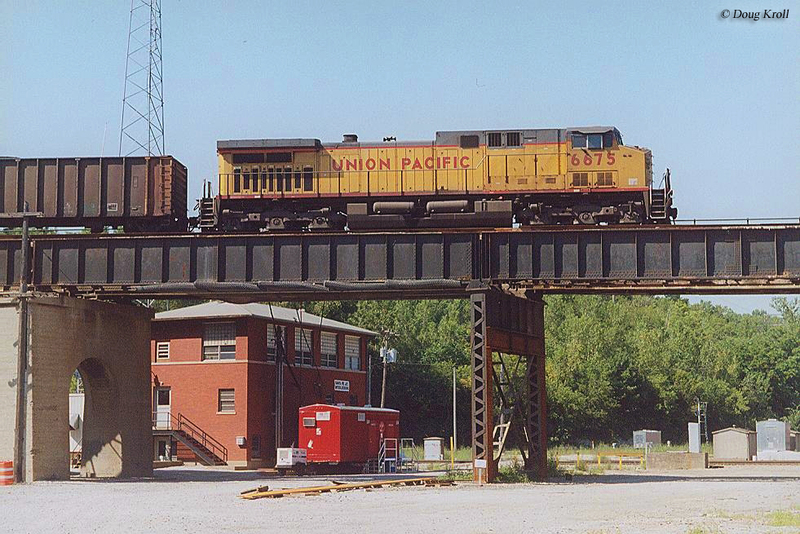 While the large systems operate much of Missouri's rail network today it also boasts several smaller carriers. 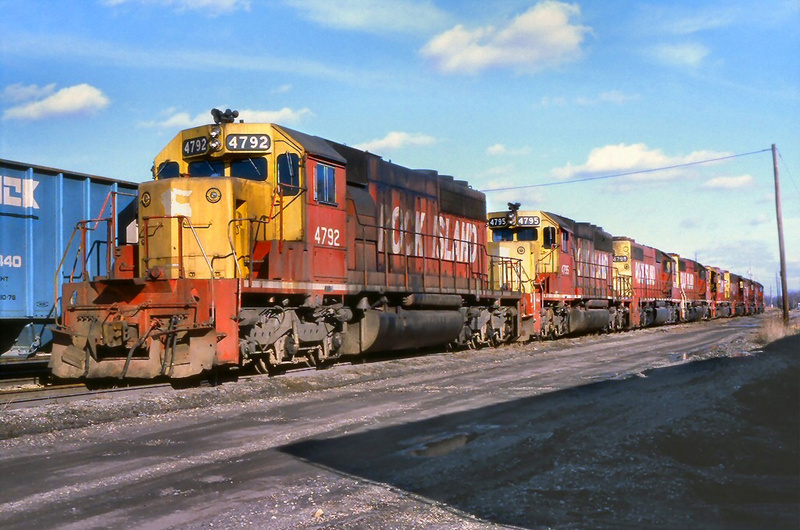 In any event, you will notice that there are links listed throughout the information here to other pages at the site that relate to Missouri railroads. These are included here simply for your interest in enjoyment. 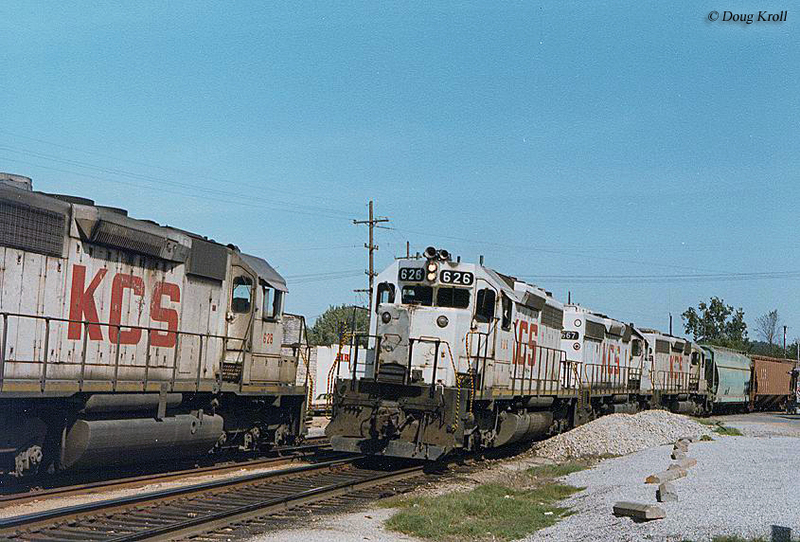 Missouri railroads date back to 1849 when the Pacific Railroad (predecessor to the Missouri Pacific) was chartered to connect St. Louis with points to the west. The railroad was conceived by the leaders of St. Louis who had hoped to see the railroad stretched to the Pacific Ocean, hence its name. The railroad formerly began construction on July 4, 1851 and began operations on a short stretch of track a year later in 1852. The company had difficulty obtaining strong financial backing and the onset of the Civil War in 1861 further delayed construction. Not until 1865 after the war was over did the Pacific Railroad finally reach Kansas City to the west, the first to so do. The company operated independently for another seven years before it was reorganized in 1872 as the Missouri Pacific Railway after new investors infused new capital into the operation. The MP, of course, would go on to become one of the West's largest systems before becoming part of Union Pacific in the early 1980s. As aforementioned with the two major cities of Kansas City and St. Louis located in the state they were prime locations for eastern and western systems to meet and interchange traffic. In the succeeding years the state would come to know several famous now-fallen flag systems. 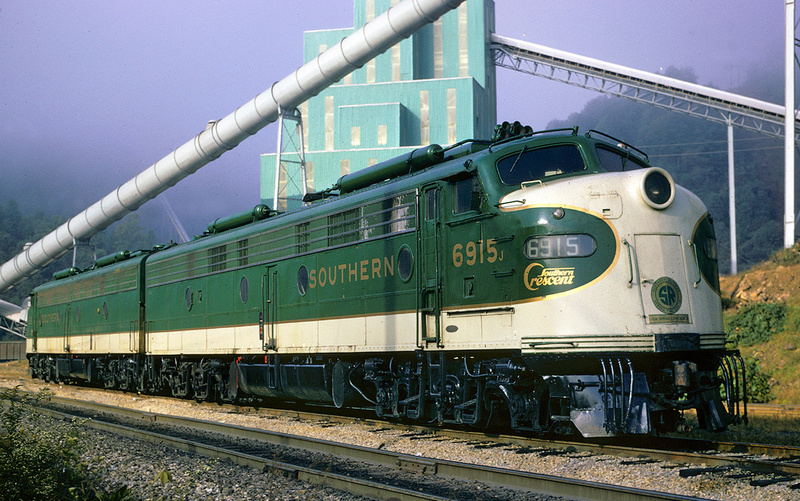 Today, Missouri features all of North America’s Class Is save for the Canadian Pacific. Most of the state’s trackage is operated by these mega systems with the rest broken up between Class II, regional Missouri & Northern Arkansas Railroad and several shortlines which include the Arkansas & Missouri Railroad, Bi-State Development Agency Railroad, Central Midland Railway, Columbia Terminal Railroad, Kansas City Terminal Railway, Kaw River Railroad, Manufacturers Railway, Missouri North Central Railroad, Missouri & Valley Park Railroad, Ozark Valley Railroad, SEMO Port Railroad, South Kansas & Oklahoma Railroad, and the historic Terminal Railroad Association of St. Louis. 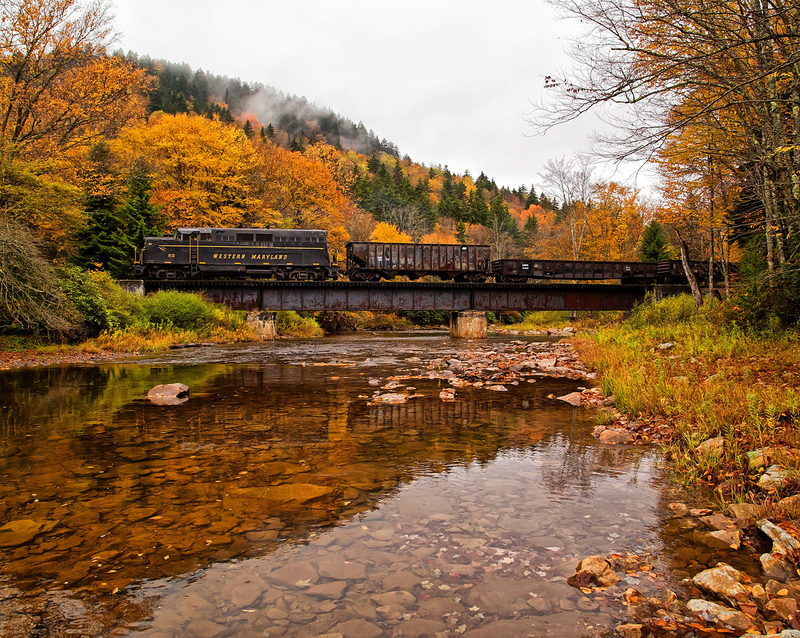 This page primarily provides employment information for those looking for a career in the industry although it also offers brief backgrounds on the state's railroads. 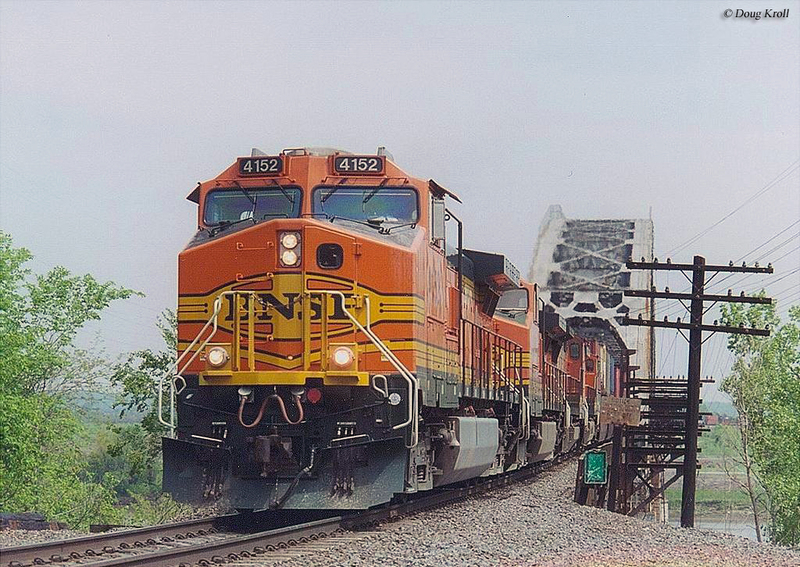 Today, Missouri features a rail network consisting of around 4,100 miles of track. During the railroad industry's golden years of the 1920s, however, the state boasted an infrastructure of over 8,100 miles. As such, Missouri has witnessed its rails decline by roughly 50%, a number all too common among most other states. 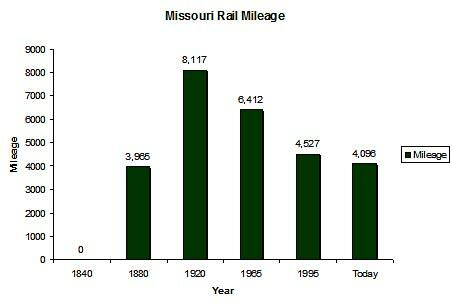 In any event, for a more in-depth look at Missouri, in terms of route mileage throughout the years please refer to the chart below. The state may no longer feature famous passenger trains like the B&O’s National Limited, KCS’s Southern Belle, the Wabash Blue Bird, IC’s City of New Orleans, or the Missouri Pacific’s Colorado Eagle [just to name a very few] but Amtrak continues to operate some of these names like the City of New Orleans along with others such as the Southwest Chief, Texas Eagle, Ann Rutledge (it also operates local and regional services). Of note, Missouri railroads also feature commuter service, MetroLink, which connects St. Louis with western Illinois suburbs on a 46-mile system. 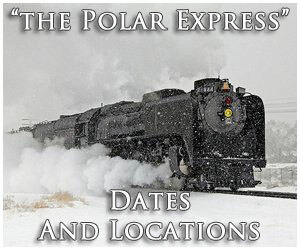 If you would like to learn more about some of the famous passenger trains ("streamliners") that operated in Missouri please click here. Also, here is Amtrak's website if you would like to know what type of services the national carrier offers to and from Missouri. 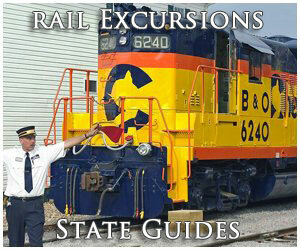 You may also be interested in visiting one of Missouri’s several railroad museums or tourist railroads. Some of these include the American Association of Railroaders, American Railway Caboose Historical Educational Society, Belton, Grandview & Kansas City Railroad, Branson Scenic Railway, Chicago & Alton Railroad Depot, Friends of Landmark Kirkwood Station, Museum of Transportation, Railroad Historical Museum, and the St. Louis, Iron Mountain & Southern Railway. 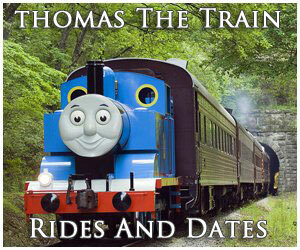 And to top things off be sure and stop by the historic union stations in Kansas City and St. Louis! 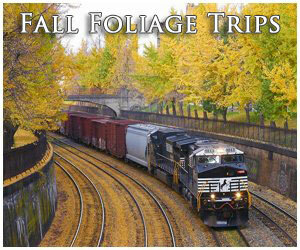 They don’t call it the Show Me State for nothing and Missouri railroads have plenty to offer from sightseeing while visiting museums to excursion trains and main line railroading. So, have fun and with so many things to choose from, remember to pace yourself!